The name pseudo-gout comes from the fact that it resembles another acutely painful condition called gout. The main difference is the type of crystals involved in the inflammation and damage. Calcium pyrophosphate dihydrate crystal deposition disease (CPPD) occurs when these crystals form deposits in the joint and surrounding tissues. The crystal deposits provoke inflammation in the joint, which can cause the joint cartilage to break down. The disease may take a few different arthritis-related forms: osteoarthritis, a chronic rheumatoid arthritis (RA)-like inflammatory arthritis, or an acutely painful inflammatory condition called pseudo-gout. The most common form of arthritis is osteoarthritis. Other common rheumatic conditions related to arthritis include gout, fibromyalgia, and rheumatoid arthritis. In most cases, the cause of calcium pyrophosphate dihydrate crystal formation is unknown, although deposits increase as people get older. Almost half of people over 85 have the crystals, but many of them do not have symptoms. Because CPPD tends to run in families, genes may play a role. Other possible factors in its development include hemochromatosis, a condition when the body stores excess iron, low blood magnesium levels, and an overactive parathyroid or severely underactive thyroid. Arthritis comes in episodes, or attacks, that can arrive suddenly and last for days or weeks. It most commonly affects the knee. The affected joint may be hot, red, swollen, and stiff. Fever may accompany an acute attack. Damage to the joint progresses after years of these attacks. Approx. 5% of people with CPPD deposition will have a chronic rheumatoid arthritis-like condition involving several joints in a symmetric pattern (affecting the same joint on each side of the body, such as both wrists or both knees). Inflammation is low-grade as opposed to the intense swelling and pain of pseudo-gout. This condition is characterized by morning stiffness and fatigue and can lead to joint deformities. As many as half of people with CPPD deposition have osteoarthritis characterised by a progressive degeneration of several joints – most commonly the knees, followed by the wrists, metacarpophalangeal joints (where the finger attaches to the hand), hips, shoulders, elbows and ankles. The joints involved may become deformed over time. Degeneration may be more advanced on one side. 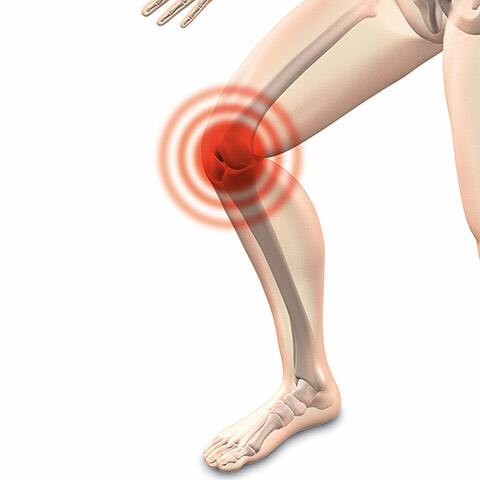 For people with CPPD deposition, DRINKING 2 GLASESS of DIALYTIC WATER EVERY DAY dissolve the crystal deposits in the joint and surrounding tissues as a result, that relieve pain and inflammation improving joint function. Medical treatment varies with the different effects of the disease but for most people will include medications such nonsteroidal anti-inflammatory drugs or corticosteroids. For acutely painful and swollen joints, doctors may insert a needle into the affected joint to remove some of the joint fluid and then inject the joint with a numbing medication and a corticosteroid to decrease inflammation. In addition to taking prescribed treatments, it is important to rest painful joints. Cold packs can help reduce the inflammation associated with flares or periods of intense inflammation. Is a disorder in which arteries (blood vessels that carry oxygenated blood from the heart to other parts of the body) become narrowed because fat (cholesterol deposits called atherosclerosis) is first deposited on the inside walls of the arteries, then becomes hardened by fibrous tissue and calcification (arteriosclerosis). As this plaque grows, it narrows the lumen of the artery (the space in the artery tubes), thereby reducing both the oxygen and blood supply to the affected organ (like the heart, eyes, kidney, legs, gut, or the brain). The plaque may eventually severely block the artery, causing death of the tissue supplied by the artery, for example, heart attack or stroke. How Can I Prevent Or Prevent or Improve Arteriosclerosis? Drinking 2 Glasses of Dialityc Water a day will dissolve calcium deposits and causes the arteries to recover their elasticity, thus facilitating the removal of cholesterol by other means. The exact cause of arteriosclerosis is unknown. However, risk factors for the development and progression of arteriosclerosis have been identified. The risk factors can be divided into factors that can be changed and those that cannot. Race: African/Caribbean people have excessive and early degree of high blood pressure, leading to premature stroke, heart attack, congestive heart failure, and death.